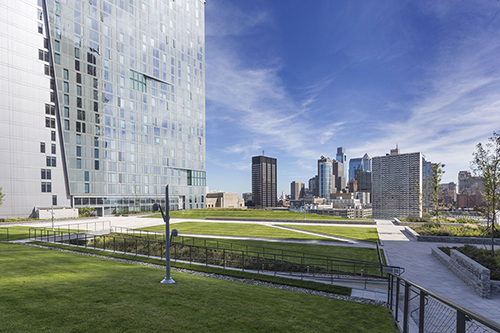 Cira Green is an urban park elevated 95-feet above street level, on top of a parking garage, offering an unobstructed view of the PECO building. The Schuylkill River Park Connector Bridge offers a direct view of the Crown Lights. 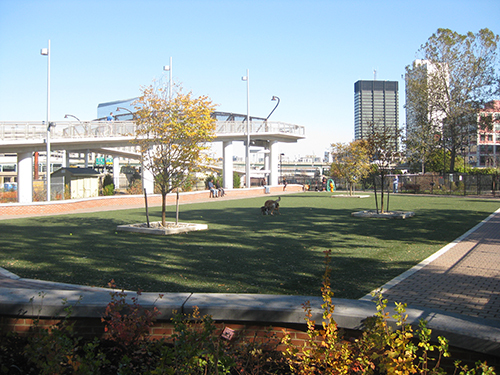 There’s also a great dog park for your furry friend! 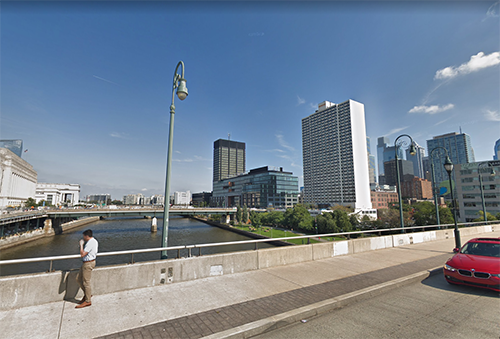 Get up close and personal with the PECO building on one of the bridges crossing the Schuylkill River. 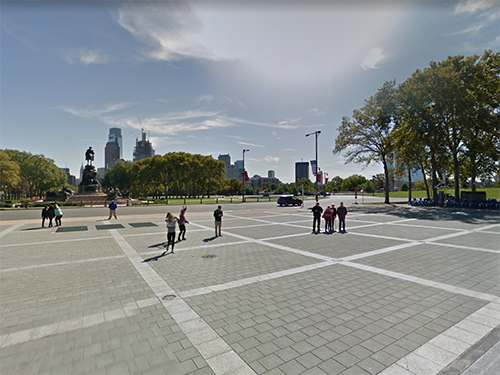 On the famous Art Museum Steps, the PECO building can be seen along the Philadelphia skyline. After you’ve taken your photo, head over to Shipley’s Facebook page for your chance to win $125 to Shipley’s School Store! Post your photos in the comments of our contest announcement post. The person whose photo receives the most likes by Monday, April 8 at 12:00 noon will win the $125 gift card to the School Store! 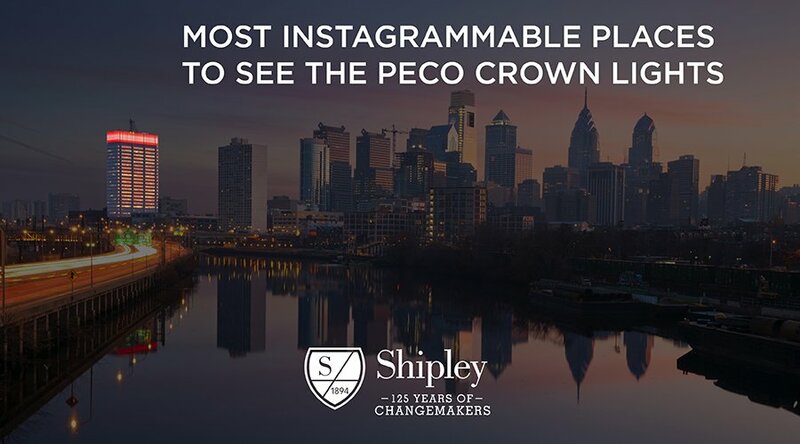 If you do not have a Facebook account and would like to participate in the contest, email your photo to shipley@shipleyschool.org and we’ll post it on your behalf. We can’t wait to see all your Crown Lights photos! Learn more about Shipley’s 125th Anniversary, Celebrating 125 Years of Changemakers. The Shipley School is an independent, coeducational day school in Bryn Mawr for pre-kindergarten through 12th grade students. Through our commitment to educational excellence, we develop within each student a love of learning and a desire for compassionate participation in the world. Through a strong college-preparatory curriculum in the humanities and sciences, our school encourages curiosity, creativity, and respect for intellectual effort. Shipley upholds and promotes moral integrity, a sense of personal achievement and worth, and concern for others at school and in the larger community.